Dealing with ambiguity is a competency quickly pushing its way up on the list of most wanted executive competencies, while simultaneously working its way down as a vital survival skill down the organization chart. 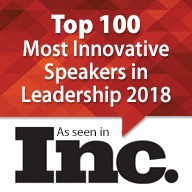 Acting with incomplete information, adapting to change, working without complete direction, imagining what’s possible in an uncertain future–these are skills no longer reserved for the executive floor. It’s not easy. But, tackling the topic head-on will save a lot of wasted time and emotional energy for you and your team, and you’ll prepare your team members for larger roles in the process. Of course, during ambiguous times it’s more important than ever to really connect at a human level. You need to understand what your team is thinking and feeling, and they need to know that you genuinely have their best interests at heart. Start with you. If times of uncertainty don’t lead to your shining moments of leadership brilliance, acknowledge that. Find a trusted advisor (it could even be a team member) who finds change and ambiguity exhilarating to help you with your plan. Do your freaking-out in private. In uncertain times, nothing will calm and inspire your team more than your “game on” attitude. It’s easy to feel like everything is uncertain in times of uncertainty. That’s never true. Be crystal clear on what you do know, what’s not changing, and what your team can count on. Chances are that when you put your heads together, you know more than you think. Taking time to do this exercise as a team matters. Resist the urge to focus only on what everyone already knows. Write that down, but then add to the list of what each person knows or suspects based on their area of expertise. Then write down what you don’t know, and brainstorm ways to gather more information in that arena. When you make decisions, stop second-guessing them out loud. If you need to change course, do it boldly with strong communication and explanation. Otherwise, keep your boat sailing swiftly in the announced direction. Even if you’ve reacted poorly to mistakes before, admit that, and promise support in taking calculated risks. Put in place whatever parameters and checkpoints you need to feel comfortable in your world, but allow space for creativity and brilliant thinking. You need every single brain cell operating on full cylinder at times like these, not censored with fear of making mistakes. When the future is uncertain, it’s easy to think that “anything could happen.” That’s seldom true. More often the most probable scenarios can be boiled down to two or three. Brainstorm those possibilities and develop contingency plans. This exercise goes a long way in calming minds and spirits while generating creative possibilities that could actually work across scenarios. The more people you engage in the solution, the less frightening the problem becomes. Enlist unusual suspects to weigh-in. Engage some cross-functional collaboration. Benchmark externally. Ask your children (hey, you never know). Most importantly keep your cool and focus on the possible. Your turn. 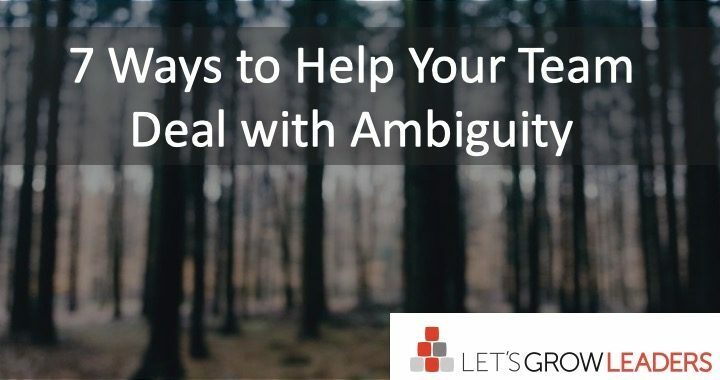 What are your favorite tips for dealing with ambiguity? 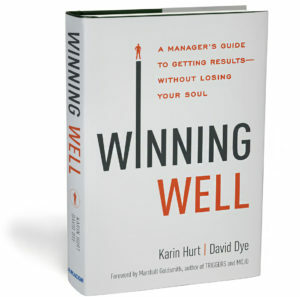 Have you read Winning Well? (we have a FREE book group facilitators guide that makes it easy to discuss with your team). 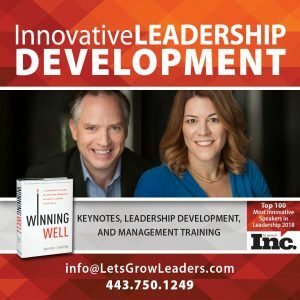 Are you looking for training and leadership development to take your organization to the next level? We can help. 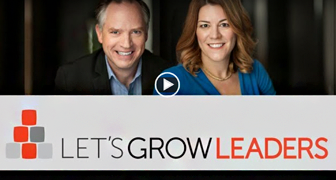 Give us a call at 443/750-1249 or reach out to us at info@letsgrowleaders.com to learn more.